The Steam Automobile Club of America. This series of pictures show some of his fantastic personal collection of Cars, Steam Engines and Boilers. 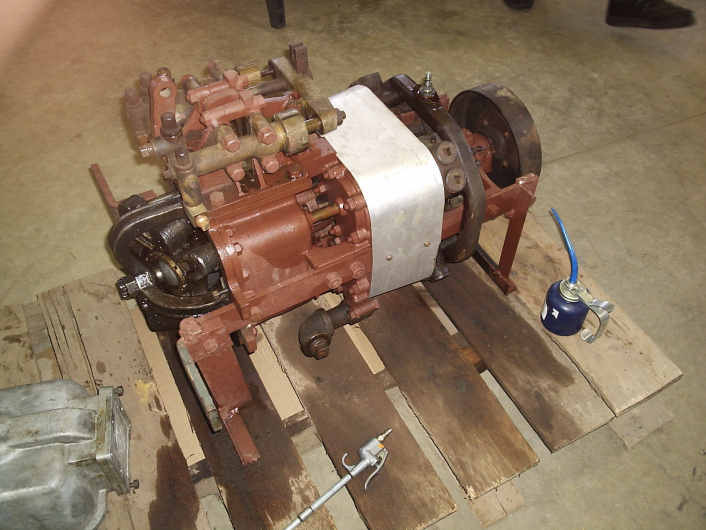 General Electric automobile engine from the 1920's. 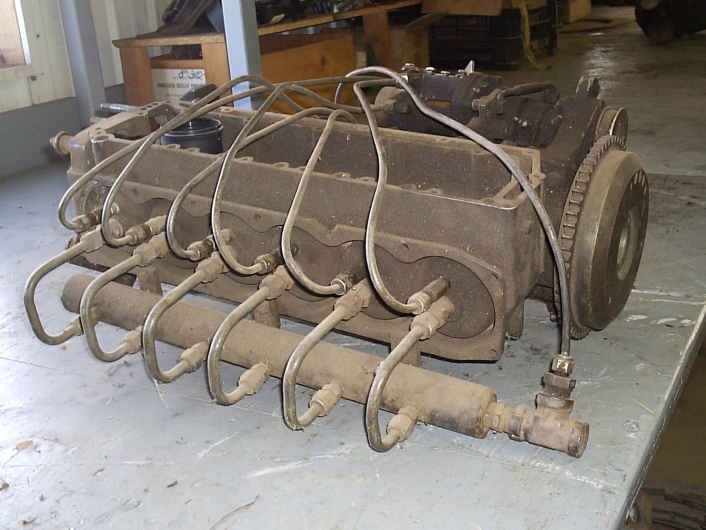 This is a four cylinder wobble plate engine with ball joints on each end of the connecting rods. Williams engine, flat four single acting cross-head design with high recompression uniflow and poppet valves. The white cylinder on the top with the lever changes the cutoff of the intake valves. This engine does not have the pressure relief valve in the cylinder heads as do the later in-line Williams engines. Locomobile engine, later type with banded cylinders. Note damage to connecting rod. The overhung crank was cracked in several places when the connecting rod bent. 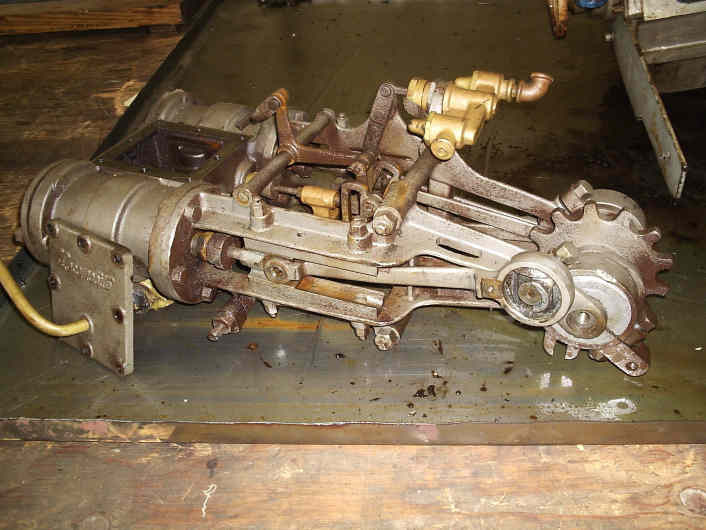 6 Cylinder in-line outboard engine converted to steam by R.J.Smith who worked in California in the 1960's. 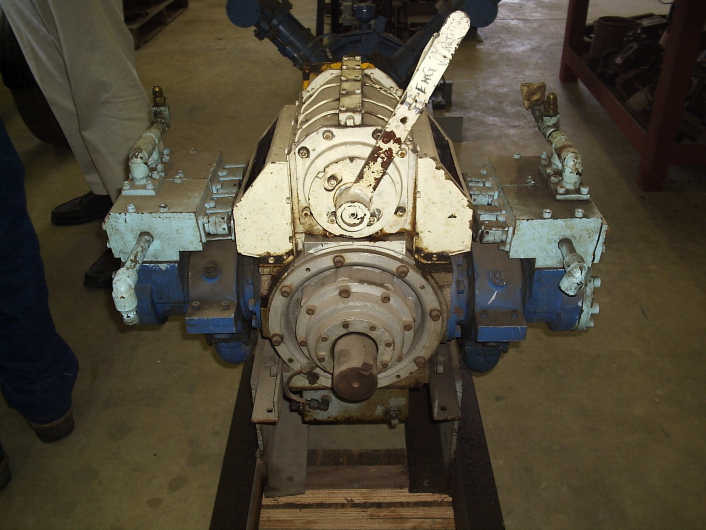 The valving arrangement is to have a rotary intake valve, which runs off a notched belt where the generator had been, start the engine and then the bump valves that are installed in place of the spark plugs take over. The exhaust ports are welded shut and the engine is a uniflow with the steam/oil mix exhausting into the crankcase through the old intake ports at the base of the cylinders. This is a Doble "F" design fabricated by Walter Cousino in Toledo, Ohio based on a design made by Charles Keen who learned from Abner Doble in 1947-1948. This is the prototype set up on a test stand with an integral water tank in the stand. 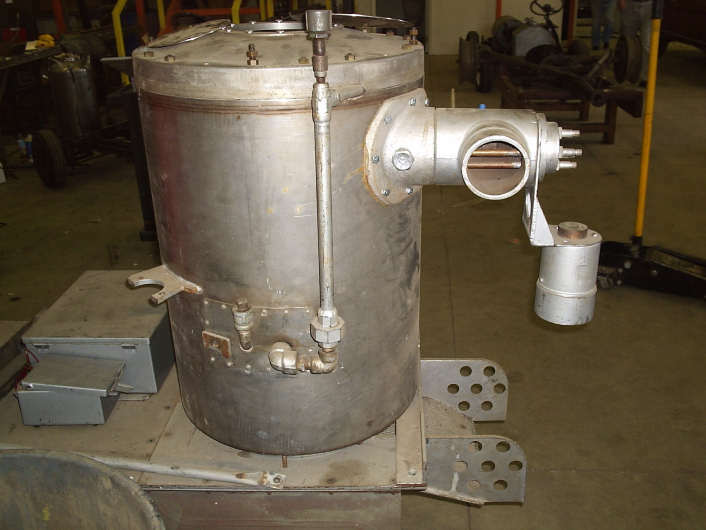 The burner uses 5 steam atomizing Williams nozzles. It is set up with the Doble quartz rod controller. 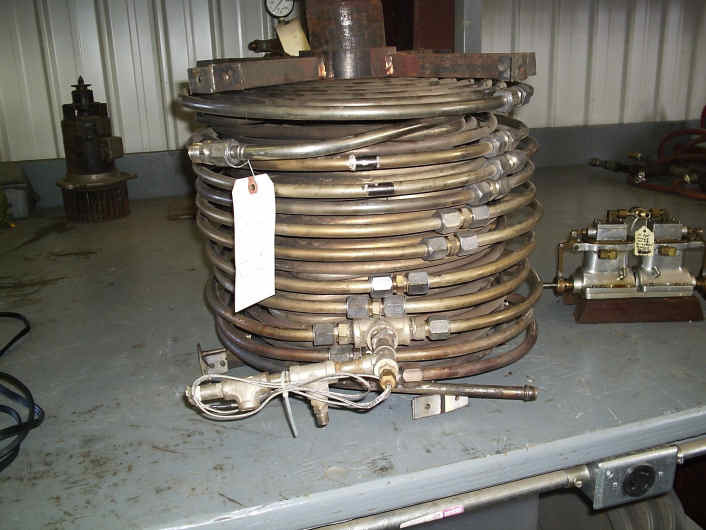 This is a boiler coil stack made by George McNeir for his Pinto station wagon with 20 hp Stanley engine conversion. It does not appear that this boiler was ever fired. Each of the pancake coils has a Swagelok fitting so that it can be easily dissasembled.